1 What Is Triple-Milled Soap? Some bars of soap come in sizes that are unwieldy in a shower or just too big for people with smaller hands. In other instances, you may want to reduce the size of a bar of soap simply to modify its look. Whatever your reason for doing so, cutting a bar of soap is generally not a tough task. The difficulty of this chore largely depends on what kind of soap you are cutting. Triple-milled specialty soaps are typically harder and may take a bit more effort to cut than brands purchased at grocery stores and general merchandise pharmacies. Ensure the soap bar is dry before attempting to cut it. Place a sheet of newspaper on a cutting board. This will provide a hard surface for cutting and give you a handy way to clean up if there are crumbs or shards of soap left when you're finished. Place a knife in hot water and allow it to become warm. Place the soap on the newspaper-covered cutting board. Hold the soap with an oven mitt to avoid being cut by the knife. Take the warm knife and begin sawing on the soap to make an indentation on the surface. Depending on the hardness of the soap, you can either push down on the knife to cut through the bar or continue sawing. Re-warm the knife if you become bogged down midway through the cut. 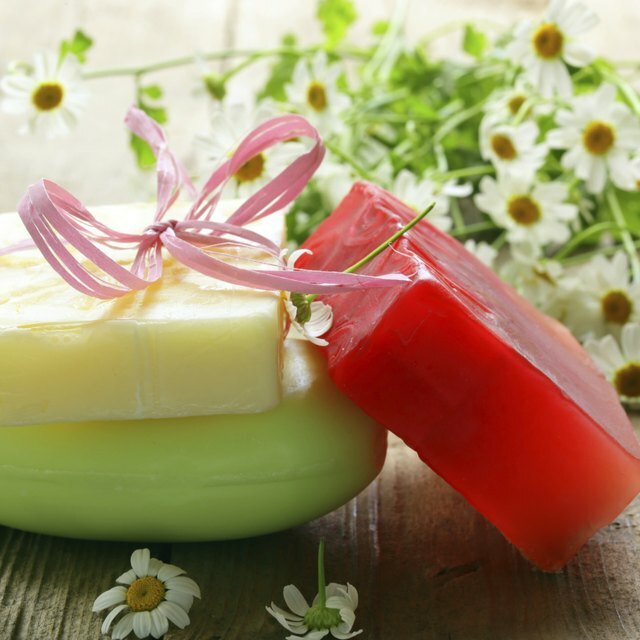 A hard, triple-milled soap can be placed in the microwave for 30 to 45 seconds to soften it before cutting. Other brands, such as Ivory or Irish Spring, are typically soft enough that warming in a microwave is not necessary.